Can my smile look natural and attractive with dentures? The answer is absolutely yes. In this dentures before and after section we would like to highlight our treatment results. All work was performed by Drs. Alexander and Kavita Shor in our Seattle Clinic. Patient had longstanding problems with his teeth. Problem list included multiple cavities, broken and abscessed teeth. After discussing different treatment options, we decided to replace all teeth with full denture on the top jaw. In the bottom jaw, we restored several teeth and replaced missing and hopeless teeth with a removable partial denture. See dentures before and after photograph below. Our patient had missing teeth and remaining teeth had gum disease which made daily activities uncomfortable . Patient was looking to improve smile and functions. We restored oral functions and cosmetic appearance with immediate dentures in the top jaw and implant denture in the bottom jaw. See dentures before and after image below. Patient disliked appearance of the old denture which had chipped and worn teeth. New upper denture was made to improve appearance of the smile. Below is denture before and after photograph. Patient presented to our office with a problematic top denture and hopeless bottom teeth. Patient desired to have a beautiful smile. Patient’s mouth was restored with new top and bottom denture. Below is dentures before and after image. Patient presented to our office without any teeth. Patient requested dentures and one of the patients main concern was to have a natural looking appearance which match her chronological age. We made natural looking denture and patient as thrilled with the results! Patient presented to our office with to replace missing top front teeth. We replaced missing teeth with a removable partial denture and patient was happy with her new smile. Below is a denture before and after photo. Patient presented to us to improve oral health. All teeth were hopeless due to the severe form of gum disease and cavities. After discussing treatment options Patient opted for implant supported dentures. Patient also requested a “beautiful smile”. We restored his top and bottom jaws with implants and dentures. Patient lost all teeth as a result of systemic disease. After discussing different options patient decided to have all teeth replaced with complete removable dentures. We used CAD-CAM digital dentures technology to make dentures. Below is dentures before and after result. As you can see from the before and after photos we are very passionate about our work and want to make every patient happy with treatment results. We would love to help you with your denture needs! 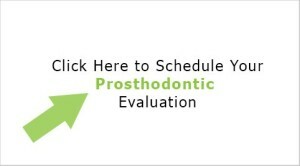 Please contact our Seattle dental practice to schedule your evaluation appointment.